Bed down under a ceiling of stars as the Northern Lights backdrop your sleep – this is surely the most romantic of accommodations. Whether it’s the progressive social policies or the cutting edge of its design scene, Scandinavia has long led the way in terms of innovation. In fact, the Nordic countries all but dominated the United Nations’ 2017 Global Innovation Index, with Sweden second only to Switzerland. It’s a commitment that’s seemingly bled into each facet of everyday life, from the world’s smallest gender pay gaps to widespread environmental consciousness and, yes, those egg chairs. 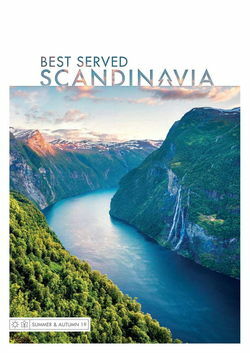 It’s no surprise, then, that Scandinavia leads the way in terms of inventive accommodation too. Indeed, it won’t have escaped your attention that you can stay in snow hotels and art-installation treehouses that range from UFOs to bird nests. However, it’s perhaps the glass igloos that are most intriguing. Combining an ancient architectural form with the best in modernist materials, they’ve become something of an icon for Nordic design. But, while they’re all glass-and-steel thrusts, an igloo stay is just as much about showcasing the natural world around you as it is indulging artsy sensibilities. 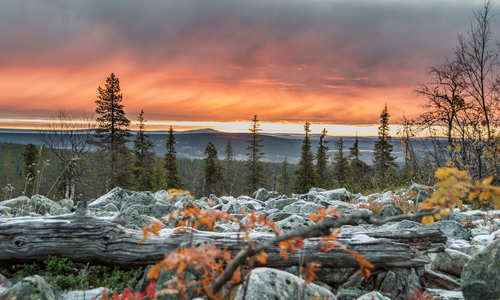 Cloaked by the wintry beauty of Lapland’s wild remotes, it’s the skies that demand the most attention. 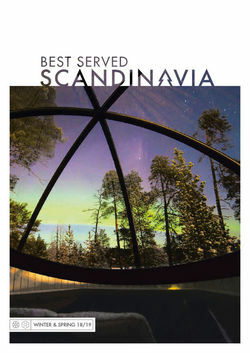 From your very bed you’ll be treated to spectacular stargazing opportunities and, fingers crossed, the Northern Lights. And, with heated windows, you’ll be treated to perfectly unclouded views. Many even also feature a motorised bed so you can get the best angle. One of our favourite examples, Levin Iglut, will see you right into the depths of Finnish Lapland. Perfectly poised among the fells and forests, its delightfully remote setting – far from any light pollution – is ideal for catching glimpses of the aurora borealis. 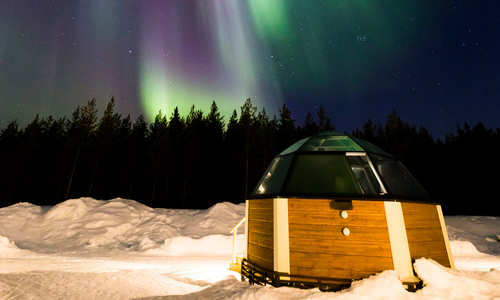 You’ll even take your dinner in a giant glass tipi after spending your days exploring with snowmobiles and dogsledding. 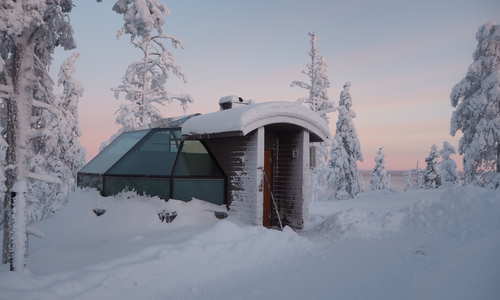 Otherwise, if you’re looking for some skiing with your igloo stay, head to Kakslauttanen. 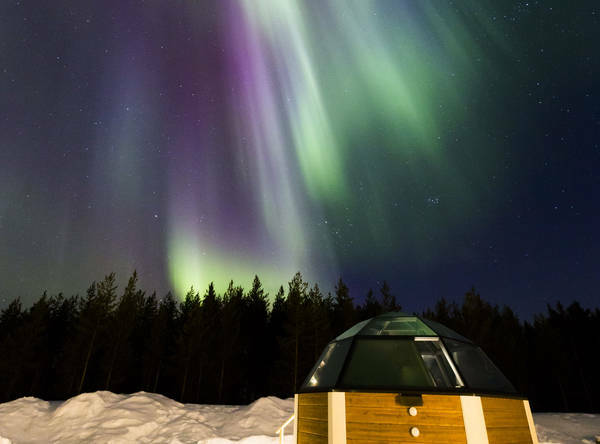 There’s also the opportunity to combine your stay with another of Finnish Lapland’s accommodation icons with the Arctic SnowHotel & Glass Igloos. Here, underfloor-heated igloos make for a cosy contrast to a night spend on a bed of ice among the ethereally lit sculptures of one of Scandinavia’s finest ice hotels. Then, for an equally exciting pairing, Father Christmas himself will pay a visit to your igloo at Santa’s Hotel Aurora. But, the fun isn’t just reserved for winter. 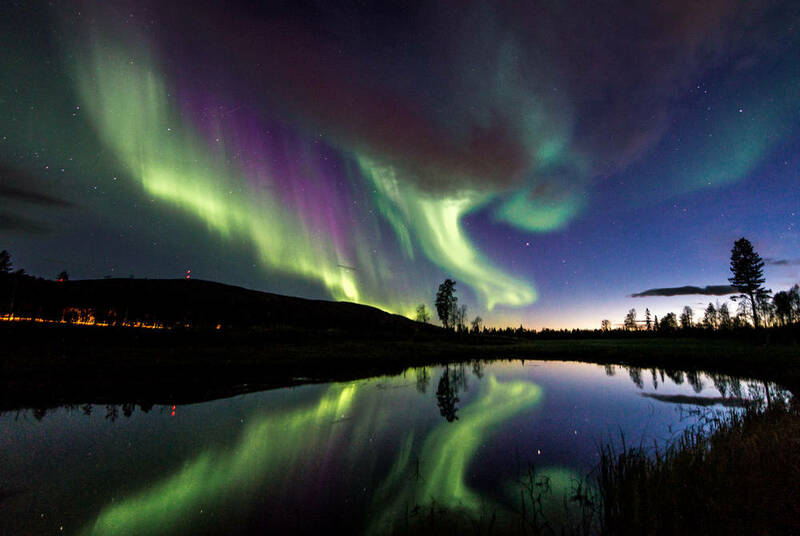 It’s a little-known fact that the Northern Lights are at their most active over the autumn equinox. With the season combing stunning aurora displays and delightfully temperate weather, it’s ideal for forest hikes, lake cruises and a full range of adventure activities, from kayaking to foraging cooking lessons. It’s all showcased on our Levi Glass Igloo Autumn Break.